While more and more are shifting to Instagram, Facebook remains the most popular social network in Indonesia. 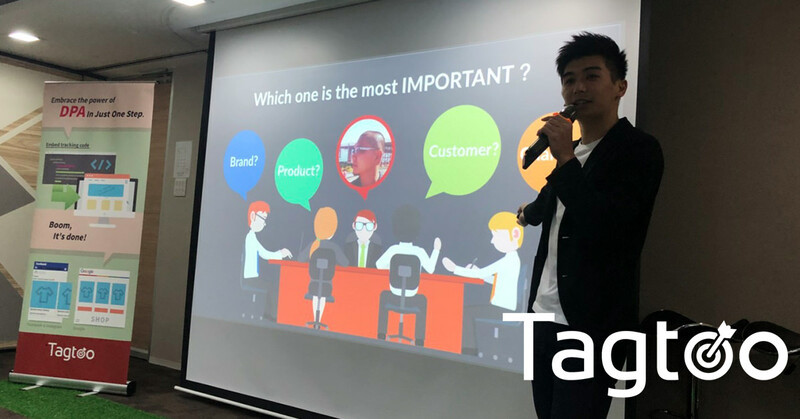 From the general introduction of digital marketing to the advanced methodology of driving transactions, Tagtoo invited senior marketing experts and a Facebook speaker to share their hands-on experience on Indonesian user behavior and help conquer Indonesia market. This comprehensive seminar taken place in late July aimed at offering a complete training in digital marketing for small and medium internet-based business, which either just start their online business or have limited resource to afford digital marketing. Most of them are underserved in term of marketing planning and digital advertising. Several tips and methodologies were introduced within this event, such as burgeoning the brand power for business with limited budgets and adopting full funnel strategy to increase conversion and retention rate. According to the Facebook’s official statistics, nearly half of Indonesian respondents have a preference for e-commerce platforms they trust and use frequently and will continue coming back if there’s loyalty program provided. More importantly, the survey indicates that Indonesian finds an online business with offline presences more trustable than online-only business. This represents the importance of developing trust among customers and the necessity of building a well-devised customer loyalty program remain the top priority, which is what most Indonesian businesses neglect. Customer relationship management undoubtedly would become the next new battlefield to determine the remaining winners. More precisely, price is no longer the most contributing factor for customers to hit the purchase button. The era of price war might come to an end soon. “Customer is the key. It’s impossible to make a good business without making your customers happy. Everybody knows this issue but nobody actually takes it seriously, ” shared Mick Lu, head of Tagtoo Indonesia, within his presentation. Based on the attendee breakdown, nearly 60% of the participants come from non-ecommerce industries, property management and private school, for example. This number signifies the growing trend among entrepreneurs, in addition to e-commerce merchants, to recognize the huge influence of Facebook on sales and their individual’s brand image. With that said, the younger generation increasingly finds Facebook old-fashioned and shifts to Instagram nowadays in Indonesia. Entrepreneurs and marketers, consequently, tend to hold a negative perspective toward Facebook Ads and think allocating more budget to Instagram is the best cost-effective approach. While this concept seems true, little do most understand is that Facebook continues being the most popular social site and has proven to be the best channel, according to Tagtoo’s self-built database, to bring quality traffic from new visitors and drive transactions. Both channels, Facebook and Instagram, are equally beneficial to marketing campaigns. Each platform has its irreplaceable role in boosting sales. Under no circumstance should one focus on a single platform only. “The relationship of Facebook and Instagram is exactly like siblings. Only when they work together can the stronger synergy be created, ” said JC Chang, Media Director of Tagtoo, with a soft chuckle before closing the digital marketing seminar.